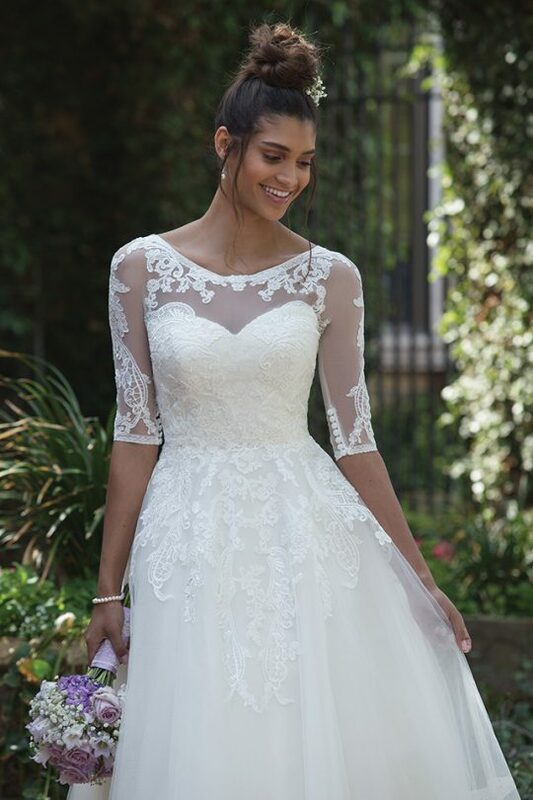 Beaded lace covers the bodice of this Cinderella ball gown. 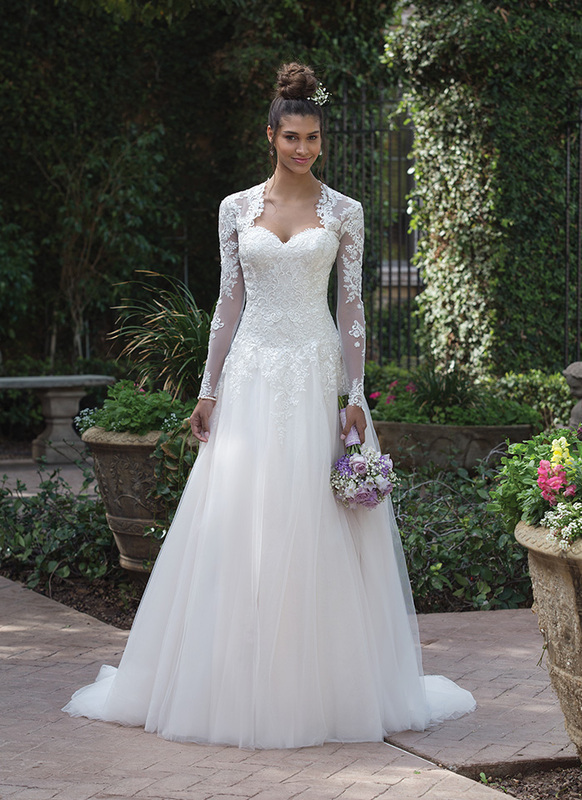 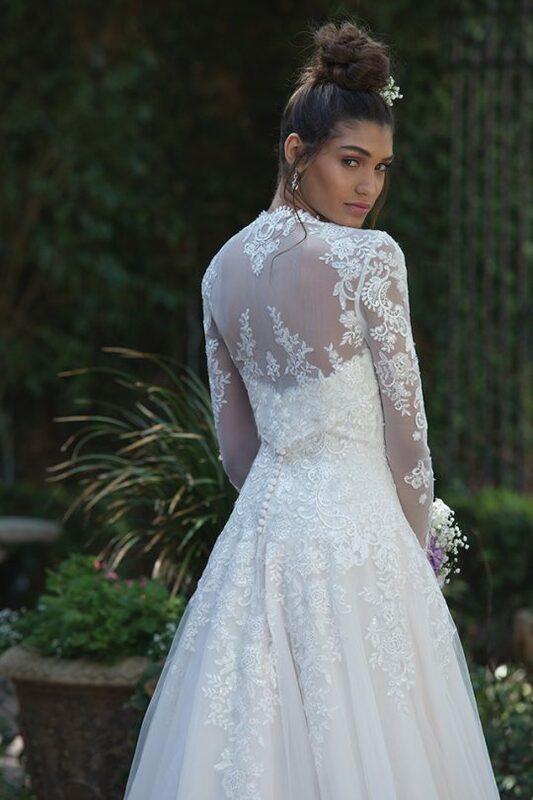 A detachable bolero jacket adds a regal touch, with beaded lace down the sleeves and across the shoulders. 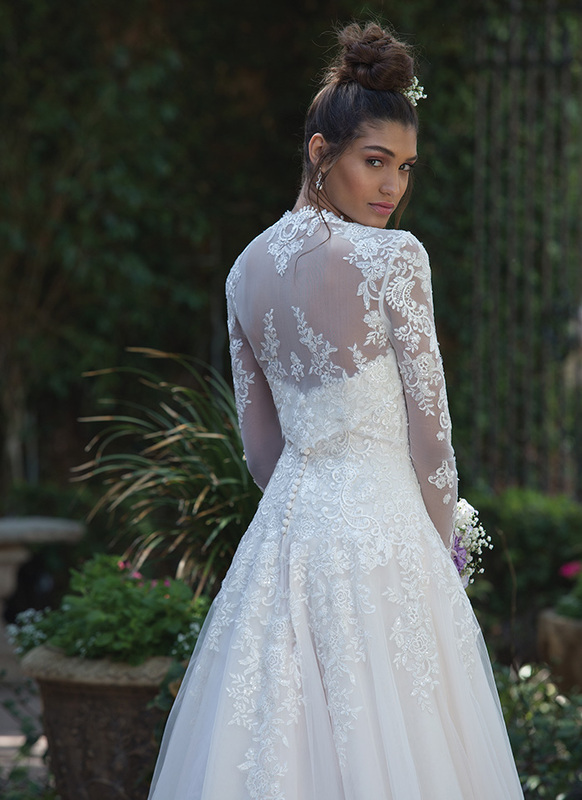 This wedding dress is finished with buttons down the zipper closure.